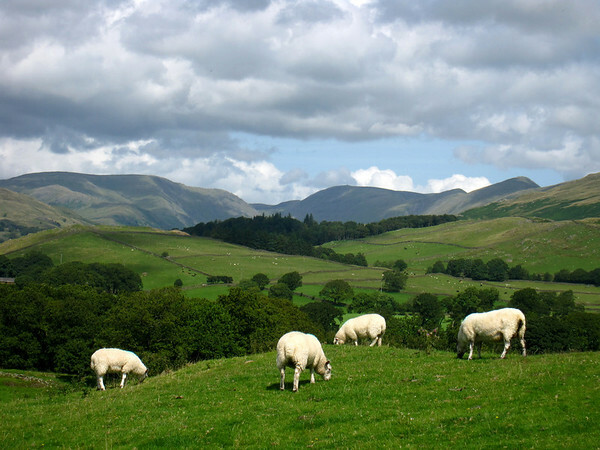 The English Lake District is a cultural landscape shaped by Ice Age glaciers where farming and the grazing of sheep since has defined the land. It is a mountainous area of great beauty, that has inspired painters and writers since the 18th century. 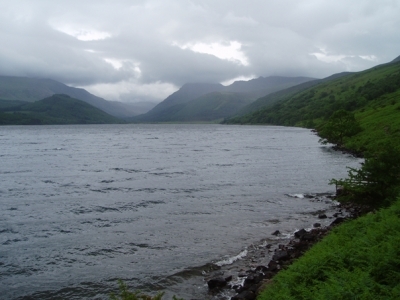 It has the highest peak of England, 13 narrow valleys, 16 lakes of glacial origin and woodlands. March 2018 - it was one of our ultimate goals to visit on the trip. it was a half day drive from Liverpool, and different than the whole week before, it started raining. Very unfortunate, but when we entered the nationalpark it was foggy which added up to a mysterious experience. We drove up to Hawkshead, where we visited Beatrix Potter Gallery and made a small hike visiting sheep, sheep, and more sheep. 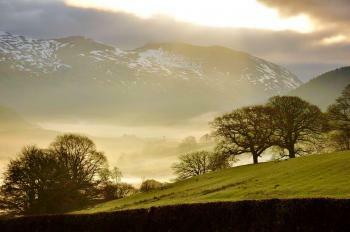 Very nice part of the Lake district. However we wanted more mountaineous so we still drove to Keswick. The town is a typical adventure, outdoor experience kind of town, like there are in the US NP. We found a campsite and had some more beer and dinner. The next day we took a famous hike to Pennyworth.Next to Derwent water. From the top you copuld oversee the whole area. It was beautiful in the morning, especially the lake landscape. What i do not really understand, is why Lake district is not a mixed WHS. The Lakes and mountains were not build by men, but are a product of ice age. Anyway we enjoyed our stay here very much and will definitely come back some day. What an incredible landscape. Although all of England is lush, green, and beautiful, when you arrive in Lake District National Park, the landscape changes. Hills rise higher and a bevy lakes appear around every winding road. The larger landscape was shaped by glaciers in the Ice Age, but some of the prettiest parts of walking the area is the more modern agro-pastoral system in places, where rock and wooden walls enclose large fields, holding in place the sheep that graze contentedly on every visible hilltop. 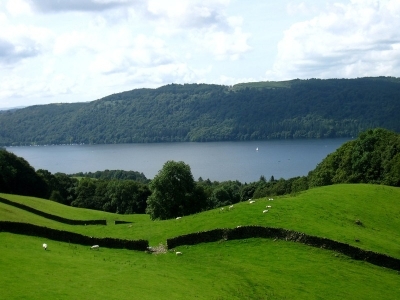 Having visited other areas of England, including the picturesque south like Devon and Cornwall, I can without a doubt say that the Lake District is unique. 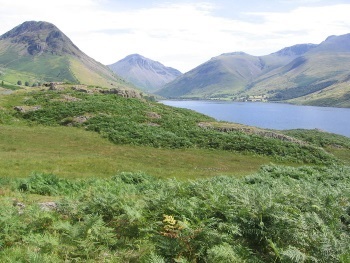 There's history here too, and when you take any of the dozens of recommended walks, you are seeing the landscape that inspired the likes of Beatrix Potter and William Wordsworth, among others. The Lake District, despite being insanely touristy, is just wonderful. And the staff running the information centers are incredibly helpful at helping you select walks, hikes, and bike rides that meet your abilities. They also have information on the most scenic drives, and routes that stop in some of the tinier towns, where just a guesthouse, pub, and a few locals add color to the experience. And no matter if you explore by foot or car, you also have to add in a boat ride on Lake Windermere, or one of the smaller lakes. Seeing the landscape rise high from the Valleys while on the water is just breathtaking. Even though I have heard the reputation of England’s Lake District for a long time, it was not in my top list of places I want to see on British Isles; however, when I visited Scotland last year autumn, it was a good opportunity to add an extra few days to go down to Cambria and to see the famous site. From Edinburgh, it was very convenient to reach Lake District by superb highway. Since I came from the north, I decided to use Keswick as my base to explore this national park. The landscape of Lake District along the Derwent Water was very lovely with beautiful mountain, pretty houses and amazing autumn foliage. I drove to the beautiful Honister Pass passing picturesque villages of Borrowdale and Rosthwaite. When I reached the Pass, the landscape changed dramatically with steep grass mountains that similar to Scottish Highland or Northern Scandinavia. The scenery of the valley became more breathtaking between the Honister Slate mine and Buttermere Lake. Then I changed to use small road to the village of Stair, the view along this route was maybe one of the most beautiful places around Keswick. I had no doubt that Lake District I saw around Keswick was a very beautiful place; however, there was no truly outstanding that made Lake District to be unique in my opinion, so I decided to focus more on cultural sites. The most important historical site in the area was the stone circle of Castlerigg, while the value of the site was no argument, it just could not compare with its famous cousin in Southern England of Stonehenge. The next day I drove to see the beautiful village of Grasmere, the village was the joy of sight and a good place to sample many delicacies of this area from tea bread to the famous and unique gingerbread. 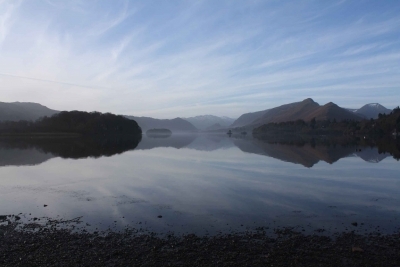 From Grasmere to Windermere, the traffic became more chaotic with too many cars, and the landscape were not inspiring as there were too many structures for tourists, a really contrast with peaceful Derwent Water. I did not find the famous Lake Windermere to be the most picturesque place on Lake District, the lake was nice, but the overdeveloped for tourism already destroyed the landscape. I ended my day at Kendal to discover that its famous mint cake was not my cup of tea and will never be on my list of gourmet destination. My last day before I went back to Scotland I decided to revisit Grasmere, because I found its gingerbread was delightful and a perfect for souvenir gift. I luckily chose to use Kirkstone Pass route, the route was more beautiful than the Honister Pass with deeper valley, small lakes and beautiful villages. Along the road I saw a lot of sheep, horses, traditional farming that perfectly fit the image of agricultural or pastoral landscape. Another joy was there were few tourists on this area. The view from Kirkstone Pass down to Lake Windermere was really hard to believe that I was in England and not in Northern Sweden. My last spot of Lake District was Ullswater which was also lovely and had many places to stop and relax along the lakeshore. All in all, Lake District is a very beautiful area of England and I really enjoyed my time in this corner of this country. Even though I am not really convinced for its universal outstanding value, and since I am not a great fan of English poem or classic, I am not fully comprehend its role on literature inspiration, I may recalled that there is some quote in Pride and Prejudice that refer to the lakes, but is that a real matter to the OUV! Anyway compared to another cultural landscape that I visited couples of months later in Southern France, I had to admit that Lake District is a worthy place to be World Heritage Site and worthwhile to explore for every travelers especially the area outside Windermere area. The place has everything tourists need, good transportation, great food, lovely landscape, countless lakes and mountains to discover. 147 Community Members have visited.